Open for 10 OUTSIDE BREEDINGS! AWARD: 2005 "RESERVE HERDSIRE OF THE YEAR" THE ALL AMERICAN FUTURITY! First time in the Futurity with his first CHAMPION WINNING OFFSPRING! This gorgeous Accoyo/Peruvian heritaged, male huacaya,has turned the tide of the show ring community by winning a Blue ribbon under age 1 year at the AOBA national and Color Champion of his class just after turning one year at the Ohio show. Now he has 10 Color Championship wins (including the National show AOBA 2002 and MAPACA 2003and PAOBA 2003! )and the accolades keep coming from one Judge to another. Zephyrus, is dense, has high amplitude crimp, and has buttery, soft to handle fleece. 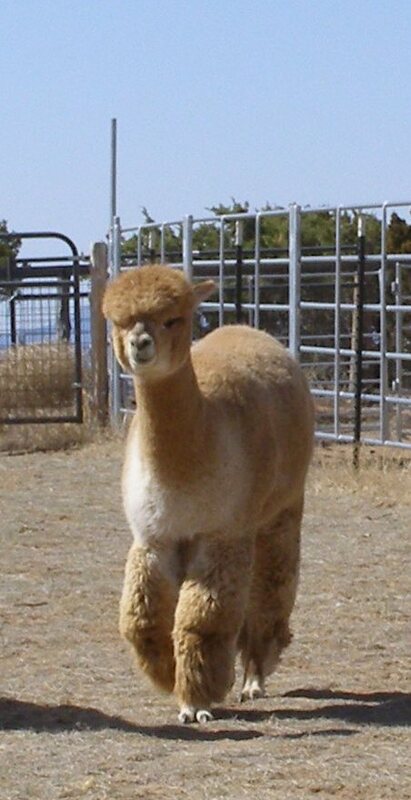 He is typey from his head to his fetlocks and has stature one only hopes for in their alpaca herd. ZEPHYRUS IS THE ONE! 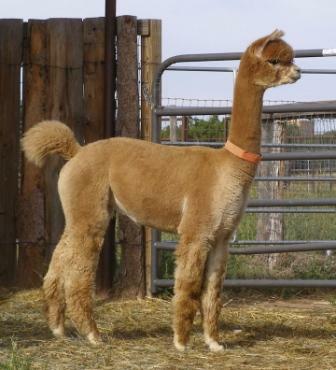 His cria are on the ground and are fabulous! He even throws black when bred to black! His first 10 show cria have all won COLOR CHAMPIONSHIPS or Blue Ribbons in their first shows 2005( Sunset Hills Zepplin, Sunset Hills Zeus, Sunset Hills Z-Breeze, Sunset Hills Sanibel, Zeph's Cormorant, Sunset Hills Zodiac, Sunset Hills Zenith, Sunset Hills Z-Breeze, Sunset Hills Tibet, Sunset Hills Lion King)and more... And, wait until you see his 2006 show cria, all we can say is WOW! And, Zephyrus' Sire just sold for $600,000! Can you imagine what Zephyrus and his offspring are worth? WE ARE NOW OFFERING A LIMITED NUMBER OF ZEPHYRUS BREEDINGS! 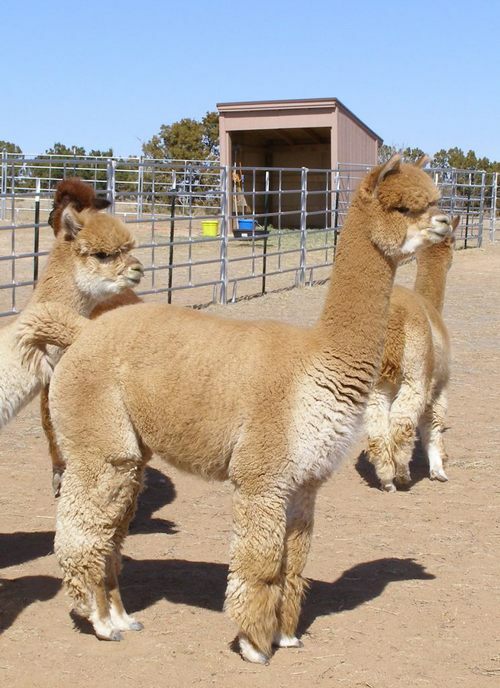 Come visit Sunset Hills Farm or Call us for other Zephyrus cria availability. Come own one of his offspring. You, your herd and your farm will be thrilled you did! This girl is something else - Poise and Presence oozing out of every pore. And her fiber is truly spectacular. She has a wonderful density - you really have to dig to find skin...and as you are digging you can't help but notice how silky and soft she is. She's a true show girl - if you just look at her, she is "ON" - no kidding...I've never seen anything like it. But for all her hi-falutin' ways, deep down she's just a sweet, sweet girl and we have really come to love her. 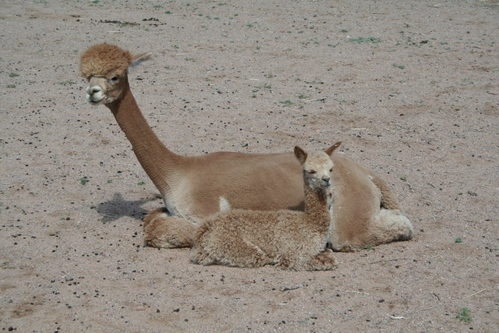 Our Zatty has gifted us with three cria, all girls and all gorgeous. And the most scrumptious little boy I've ever seen. Don't look for him on the sales list.